Product #5828 | SKU FAF04701 | 0.0 (no ratings yet) Thanks for your rating! The DK-20C -3.0 Correction Eyepiece for Rectangular-Style Viewfinder from Nikon allows you to optimise your SLR/DSLR viewfinder's sharpness in conjunction with your individual eyesight. 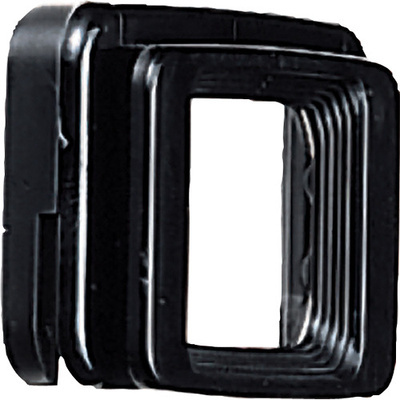 Nikon SLR/DSLR cameras (without built-in adjustable eyepiece correction) have a base dioptre value of minus one. Minus one is considered the optimum starting point for the majority of SLR/DSLR users with normal vision. The combination of the camera's viewfinder components and a clear (standard) eyepiece form a virtual image of a subject on the camera's focusing screen that is the approximate equivalent of a viewing distance of one metre. Box Dimensions (LxWxH) 4.4 x 2.8 x 0.02"